Soaring Andean summits, unspoiled Caribbean coast, enigmatic Amazon jungle, cryptic archaeological ruins and cobbled colonial communities. Colombia boasts all of South America's allure, and more. ... Continue on to Peru, the land of the Incas. 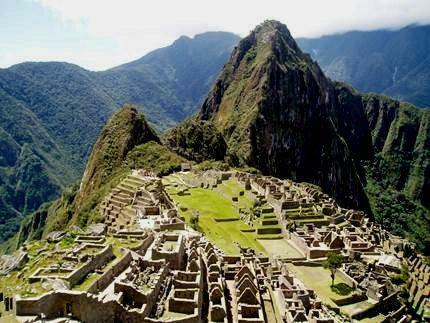 Visit the Sacred Valley, Cusco and world-famous Machu Picchur. Join Select Holidays as we journey to these destinations in January 2019. Flight flight from Cartagena, Colombia to Lima, Peru. Upon arrival, transfer to your Lima city centre hotel for a three night stay. A full free day to enjoy the facilities of the hotel including the pool. Mid-morning start from the hotel for a city tour of Lima, including lunch at a local restaurant. Breakfast at the hotel then transfer to the airport for a flight to Cuzco. Upon arrival into Cuzco, transfer to the Sacred Valley and hotel for an overnight stay. Early breakfast at hotel then transfer to the train station for a panoramic train journey to Aguas Calientes then take a shuttle bus to Machu Picchu for a guided tour of this sacred site of the ancient Inca civilization. The visit includes: the Solar Clock; the Watchtower; the Incas Palace; the Three Windows. Return to Aguas Calientes by bus and check into the hotel for an overnight stay. The morning is at leisure. Transfer to the train station for your return journey to the Sacred Valley and Cuzco. Dinner at the hotel. Breakfast at the hotel then take a city tour to visit: The Cathedral; Temple of the Sun and the nearby ruins; Sacsayhuaman Fortress. Afternoon at leisure. Enjoy a dinner and folkloric show this evening. Enjoy a free morning to explore Cuzco on your own then take a mid-afternoon flight back to Lima. Day room and Dinner is provided. Later this evening, transfer to the airport for a flight back to North America. *Ask about continuing your South America Journey and visiting Brazil, Argentina & Chile.